A lot of post-rock and instrumental electronic music can be boring. Musicians compose enormous musical structures with thunderous percussion, larger than life chords, and layers and layers of keyboards but the content rarely seems to live up to the context. Sure, there are your Godspeed You! Black Emperors, Mogwais, and M83s, but they are the exception to the rule, not the rule. Take into consideration that even these exceptions can be lackluster—M83’s over-reliance on constructed drama, for instance—and the genre seems particularly troubled. And maybe that’s why Lymbyc Systym’s Love Your Abuser comes across as fresh, and inspired as it does. On one hand, it’s a pretty straightforward electronic record, while on the other, the duo from Tempe, Arizona exhibit a penchant for post-rock’s enormity. 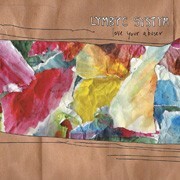 By foregrounding the details—all the music box electronics and lap top flourishes—and relegating their post-rock ambitions as secondary, Lymbyc Systym have achieved, for the most part, a delicate balance that allows them to inject drama and feeling into sterile electronic arrangements, while not getting bogged down in pretense. That’s not to say that record doesn’t sometimes trip itself up with sentimentality. “Birds,” for example, finds the band mixing precious keys with their most oppressive post-rock wall-of-chords. Other songs are more consistent, but occasionally misfire in brief, awkward moments—the distorted guitars entry in “Love Your Abuser,” for instance, or the predictable ‘drop out’ at the end of “Pittsburgh Left.” While these are enough to cause brief trepidation, they aren’t enough to mar an altogether enjoyable listening experience. The most striking thing about Lymbyc Systym is, despite their occasional missteps, the duo has an interesting and fresh approach. They bring a rare humanism that is missing—perhaps appropriately so—from a lot of post-rock and electronic music that ultimately makes the album easy to get lost in. And that’s the charm of Love Your Abuser, it lulls us in with delicate attention to details then devours us with its gigantic, sonic undertow. - "A Day At The Beach"
- "... So We Can Sleep"